Garam masala usually appears alongside more familiar spices in Indian recipes. But, unlike other spices, such as cumin or turmeric, garam masala isn’t a spice itself – rather it’s a blend of different spices. In writing this post I discovered that garam means “heat” and masala means “spice blend”. Garam masala is an ingredient that brings flavour, aroma and warmth to Indian food. 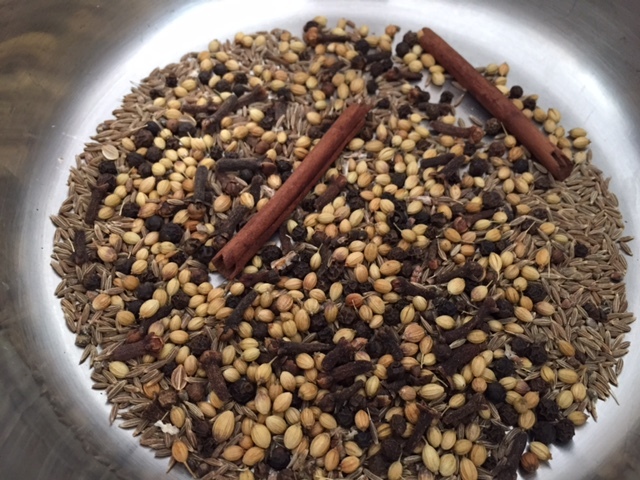 Throughout India there isn’t just one common recipe for garam masala. Indeed my local Indian restaurant, Tellicherry, told me that they use many blends of garam masala for different dishes. I used to buy pre-packaged garam masala – it typically sits in the spice section of supermarkets or wholefoods stores right between ginger and juniper berries. 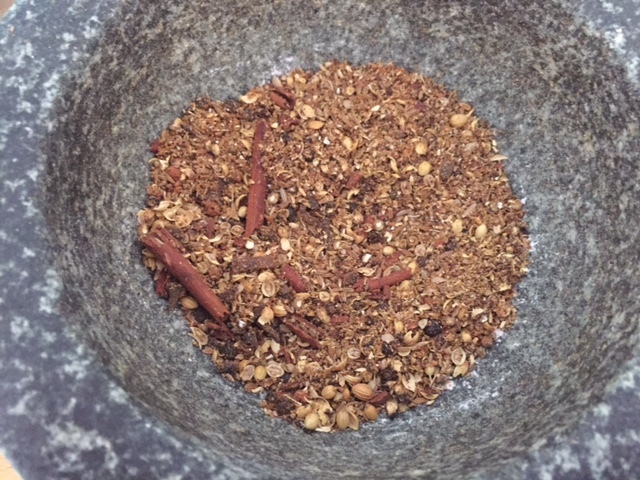 What I didn’t realise until recently is that homemade garam masala is really easy to prepare (provided you have a good stash of spices at home). With this post I wanted to inspire fans of Indian cuisine to ditch store bought garam masala and instead to make up a batch of your own. This recipe comes from Rick Stein’s India, a book I talked about in a recent recipe for dhokla with curry leaves and mustard seeds. Rick Stein spent weeks travelling through India to uncover many authentic dishes. 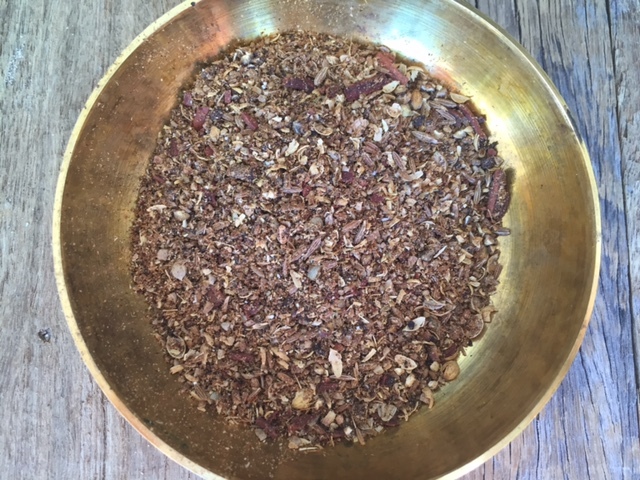 Many of the recipes in his book include this garam masala blend – a teaspoon here, another there. It’s so versatile. Sometimes it’s the only spice in a given dish. His talk of how much better homemade garam masala is won me over. I’m writing this post after whipping up my second monthly batch. These quantities make 50g but unless you regularly cook Indian food I’d suggest making half of this batch. You could substitute the seeds, cloves and cinnamon with their already ground/powder equivalents, but the best result will come from not taking shortcuts. Rick Stein’s advice is to make a fresh batch once a month to retain the potency of the spices. 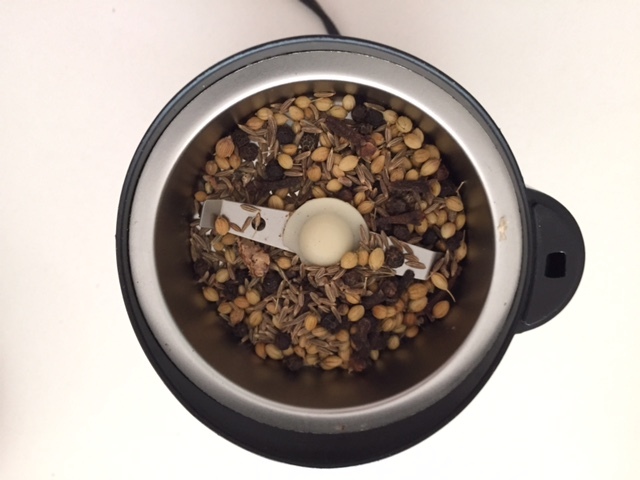 Lightly bash each cardamom pod, perhaps with a pestle, to open the skin. Remove the seeds and add them to a dry large saucepan. Add all of the other ingredients, except the nutmeg, to the saucepan. Roast the spices over a medium heat for a few minutes or until they’re toasted and fragrant. Put aside the spices to cool. Grate the nutmeg and then add it to the spice mix. Break up the cinnamon into a few smaller pieces and then add the entire spice mix into a spice grinder. You may have to do this in batches if your spice grinder is as small like mine. Grind everything into a fine powder and then transfer to a clean glass jar and seal tightly. Store at room temperature away from direct light. 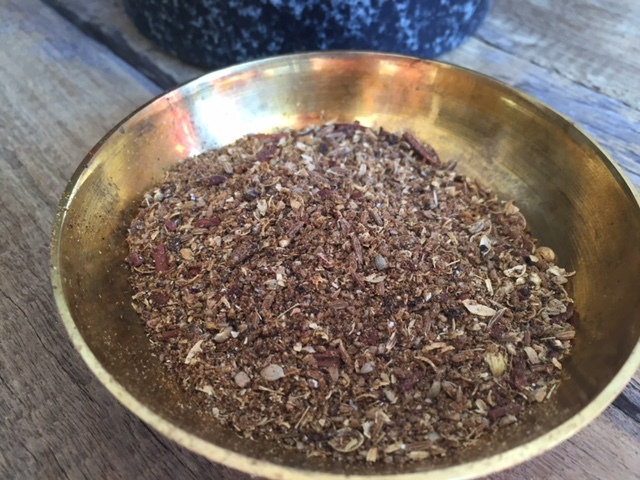 Do you have your own special recipe for a unique garam masala spice blend? If so I’d love to hear about an alternative to the one I’ve shared here. Tags: blend, garam masala, Indian, mix, recipe, spice. Bookmark the permalink. Yum! Garam masala is one of my favourite blends. Thanks! If you have your own recipe I’d love to see it…. I love garam masala! If I ever have a way to grind the spices, this will be the route I go for homemade Indian! Thanks Katherine for stopping by! Thanks Elaine I actually thought of your lovely uses of spice when making it…. I have never made garam masala myself… I know this homemade blend would be such an upgrade from store-bought. You also have me interested in this cookbook! I’m going to track it down- thank you!! 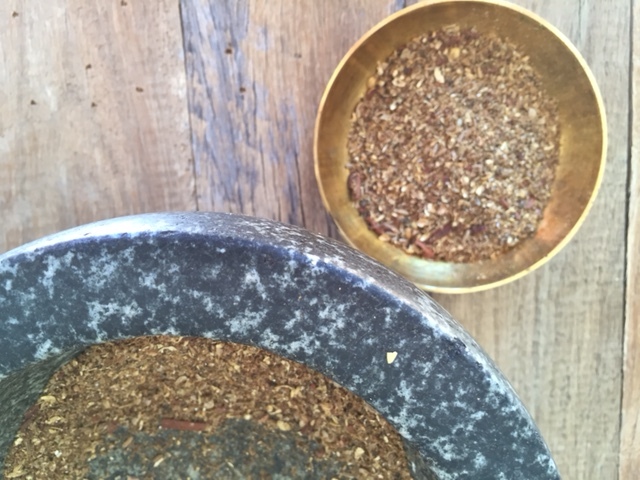 Couldn’t agree more Lara – making Garam Masala from scratch is a total game changer. It’s also really good in sweet baking – I’ve just made a loaf cake with it, inspired by an Indian afternoon tea I had years ago. So good! Garam masala is important ingredient for any indian curry. Nice explained how to prepare garam masala. We can grind small quantity for 1 week. If you grind more and keep then its flavor will go. Thanks that’s a great tip – I have been preparing a batch and keeping it for a month, which is likely a little too long….